AcraFile’s Accounting Package will provide you with a dedicated team of experienced accountants for one monthly fee. You can focus on your business while we focus on your accounting records. When you choose Accounting Package to perform your accounting services, you free up your time and attention to focus on your business performance. The Income Statement measures whether the products or services you provide are profitable. The Cash Flow Statement shows your business performance. How the financial accounts are done? You do daily entries in any one of these format. •	In our cloud-based accounting software, soEasyAccounts. You keep your sales invoice, receipts, suppliers’ invoices and payments and filed them in date order. You submit the Trial Balance, Profit & Loss Statement and Balance Sheet and our experienced accountants will review them. Our accountants will finalize them based on Financial Reporting Standards. You continue with the own method of doing your accounting. We provide full telephone support for any questions on accounting issues, you may have. Because Acrafile serves the needs of small business, we can offer a fixed monthly price of $98 for your essential accounting needs. If your company has annual turnover of less than S$ 100,000, you qualify for this low fixed price. This is not an introductory offer. It is a fixed price for your accounting services. To get started, simply gives us a call or complete the email form to set up an appointment to get started. 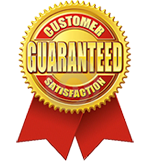 Performance Guarantee – 100% refund if job is not completed within 30 working days on receipt of all relevant information.